Become a TNA member and consider joining the Board of Directors! That’s right—we can’t do this without you and the support of the community! 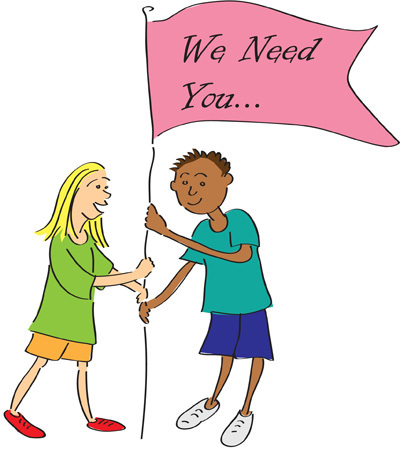 At our January meeting, on Tuesday, January 27, 2015, TNA will hold an election for a new Board of Directors. To vote, and/or to be eligible for the Board, you simply need to be a current TNA member, and that’s just $5 per year. 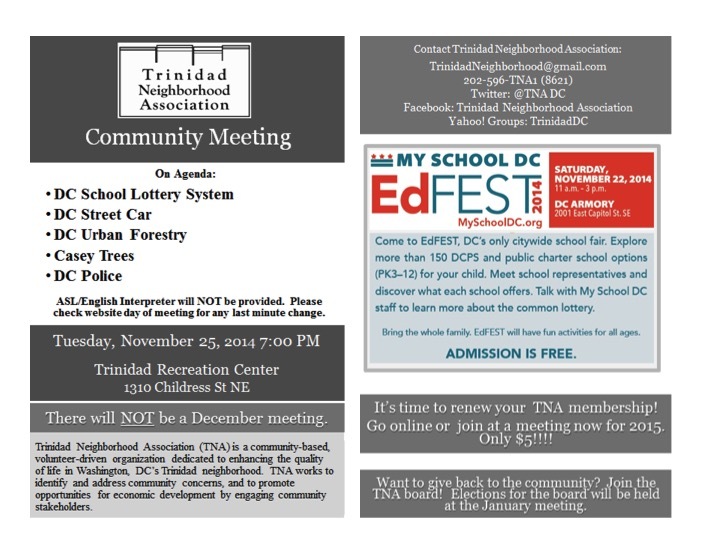 The Trinidad Neighborhood Association is governed by a Board of Directors. The Board of Directors is elected among the membership. Any member in good standing may be nominated and, if elected, serve as a member of the Board of Directors for a term of one year. Members of the Board of Directors are responsible for the general governance of TNA and to work towards the aim of developing, revising and executing a long-range strategic plan as well as annual goals and targets for TNA. Some board members may choose to serve as Officers. Officers of TNA and are elected among the members Board of Directors. Whether or not a Board member seeks an Officer position, all Board members are encouraged to take on projects towards improving the Trinidad Neighborhood. Each Board of Directors can determine the frequency of Board meetings. They’ve historically ranged from monthly to quarterly. It is expected that all Board members plan to attend, and fully participate in Board meetings. There can be up to 10 Members of the Board of Directors. The Chairman is the Chief Executive Officer of the Association and is responsible to put into effect the decisions of the Board of Directors. The Chairman presides at all meetings of the Board of Directors. The Chairman has general supervision over the business and affairs of the Association, and executes all instruments requiring the signature of the Chairman; and performs all other such duties as are related to his or her office. The Vice-Chairman advises and assists the Chairman and, in absence or disability of the Chairman, performs the duties and exercise the powers of that office. The Secretary to the Association records all the proceedings of the meetings of the members or meetings of the Directors. He or she has custody of the seal of the Association, should one be created, and affixes the same to all instruments requiring it, when authorized by the Board of Directors, and attests the same. The Treasurer has custody of all the funds and securities of the Association, and he or she keeps full and accurate account of receipts and disbursements in books belonging to the Association. He or she deposits all monies and other valuables in the name and to the credit of the Association in such depository or depositories as may be designated by the Board of Directors. The Treasurer disburses the funds of the Association as may be ordered by the Board of Directors, taking proper vouchers for such disbursements. The Treasurer reports the financial status of the Association to the Board, including the status of all balances and of any budget that may have been adopted by the Board. So be sure to become a member and attend our upcoming meeting—we’ve got some great ideas in store for 2015! And don’t forget to share this information with your friends and neighbors. Unfortunately, there will NOT be ASL/English Interpretation provided during the meeting.